Transmedia is a two-year, full-time course in arts, media and design and leads to a master’s degree in Transmedia. The program focuses on research and its integrated mix of art practice and critical thought. During the first INPUT year, the students hone both your production and research skills in the Transmedialab, engage with the history and theory of transmedia art in lectures and seminars, attend public events and, of course, mainly devote time to your own work. This input confronts and fuels with different ways of working and thinking in order to develop ideas and methods further. During the second OUTPUT year, devote most of time to individual practice leading up to graduation project, i.e. a (body of) work supported by a research dossier. Marco Mancuso was called by Boris Debackere at Transmedia school to lead a 3 days intensive course which gives the partecipants a critical and historical overview of the most challenging artistic and productive realities in the field of digital art & design, connecting them to the development of digital technologies, softwares, hardwares, trends, aesthetics and styles in the last years. Monitoring the most successfull, experimental and cross disciplinary experiences of the most important and known artists, festivals, platforms, media centers, galleries and events worldwide, Marco Mancuso has been presenting the idea of an intensive course that give the partecipants a critical and historical overview of the most interesting artistic e productive realities in the field of digital art & design, connecting them to the development of digital technologies, softwares, hardwares, trends, aesthetics and styles in the last years. The course has a deep historical-critical approach: in fact, it offers a series of means enabling students to better understand contemporary pieces of art through a disciplinary-critical path which, thanks to the analysis and the study of a pretty wide range of works during the different lessons, divided into practices and disciplines; leads from works of the avant-guarde and experiments of last centuries to the current media experimentation. 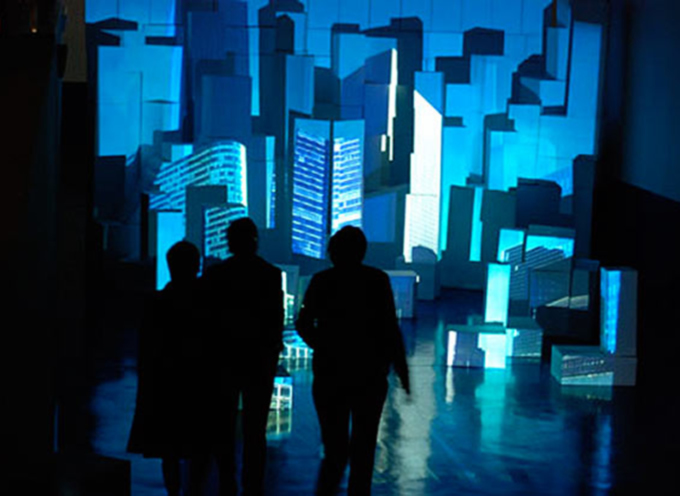 With the general term “New media art”, the course is referring to a very large art scene that has a common central point in using new digital technologies. The subsets of “New media art” that have sprung up in recent years, may be all considered as individual and paradigmatic entities at least in relationship to specific technologies but, at the same time, they can only together describe a whole movement that has developed in a spontaneous and irregular way, even strongly connected to underground art movements, hacking & coding visions, design challenges, technological and scientic developments, avant-guard traditions and pioneering experiences. The course consists of front lectures, open discussions and critical viewing of tutorial footage. The course is conceived for the purpose of historicizing and putting art, design and contemporary digital culture in a wider historical-critical path, by means of analog, electronic and digital media. The final purpose of the course consists in giving students a series of critical means of knowledge and qualitative analysis of the main trends linked to the use of new technologies partially regarding art, design, science, trade and contemporary society.